Workers voted to take 24 hours strike action following a breakdown in negotiations with the company surrounding a long running disagreement on a pay freeze agreement. The workers at the packaging firm have also given notice to stage further 24 hour stoppages should the dispute remain unresolved. 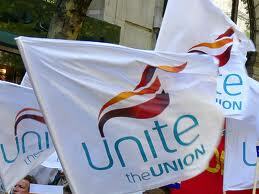 Unite says that the company is refusing to offer an acceptable review to existing staff of a “pay neutral” agreement, signed in 2009 when the company was in some financial difficulties and making redundancies at the site, although the fortunes of the company have now changed. A clause in the agreement specifically allows for this to happen, yet all attempts to resolve the dispute by negotiation have not as yet been successful. The workers at Salford are also planning to take industrial action consisting of a continued over-time ban in an effort to resolve the dispute and restart meaningful negotiations. Unite regional officer, Alison Jones, said: “Our members in Salford feel they have no choice but to take this action as discussions with the company have failed to provide a satisfactory outcome. The staff have always worked with their employer to ensure that it remains competitive and have shown their willingness to compromise regarding previous wage claims. “However, as the company has now returned to profit, they just wish to be rewarded for the commitment and support they have given as these workers have not had a pay rise since 2007. Email messages of solidarity to Alison Jones here. Print Week article on this dispute here. This entry was posted in Employment Rights, Solidarity, Trade Unions, Trades Union Congress, Unite The Union, Workers Uniting. Bookmark the permalink.